Our conference and business centers deliver focus, flexibility and productivity. Rent by the day, half day or even by the hour. Whether you seek configurable conference venues of every imaginable size or state-of-the-art conferencing technologies like the world’s largest videoconferencing network, our member conference centers will efficiently and effectively connect you to colleagues on the ground or on the other side of the globe. Maximize convenience and fun with appealing event and conference venues. Increase productivity with fully-networked computer labs. Select from comprehensive and affordable meeting packages including the ‘day only’ meeting plan. Get the most from your time and space with professional on-site personnel at conference venues. And like the rest of our member venues, our conference venues and business centers feature experienced hosts for social events of any kind. Weddings, reunions, parties and receptions are always welcomed! 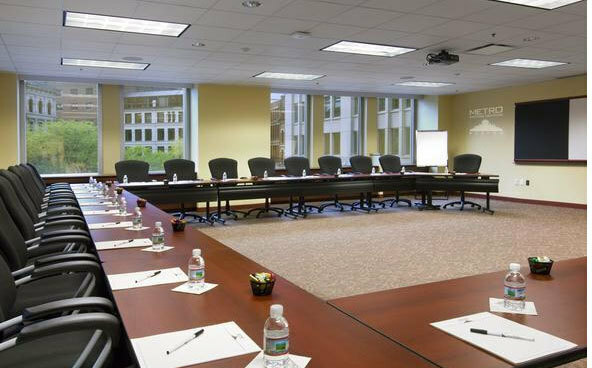 For additional help finding the best conference room rental, try our assisted search. Or, check availability and find rates for conference rooms for rent from the following list of member venues. Host productive business meetings, conferences and events! You belong here.